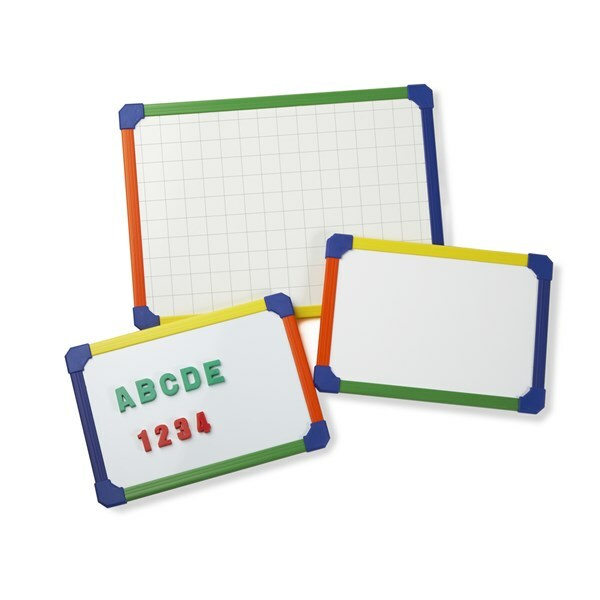 Plastic multi coloured lightweight double sided whiteboards with a magnetic or non magnetic surface. Available in either A3 or A4 sizes. The coloured lap boards make learning fun and exciting for children. The magnetic board is plain both sides and the non magnetic lap board is plain one side and 20mm gridded on the reverse.